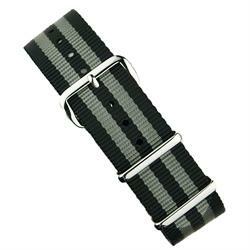 Nylon Military - The fun & affordable way to transform the look of your watch. 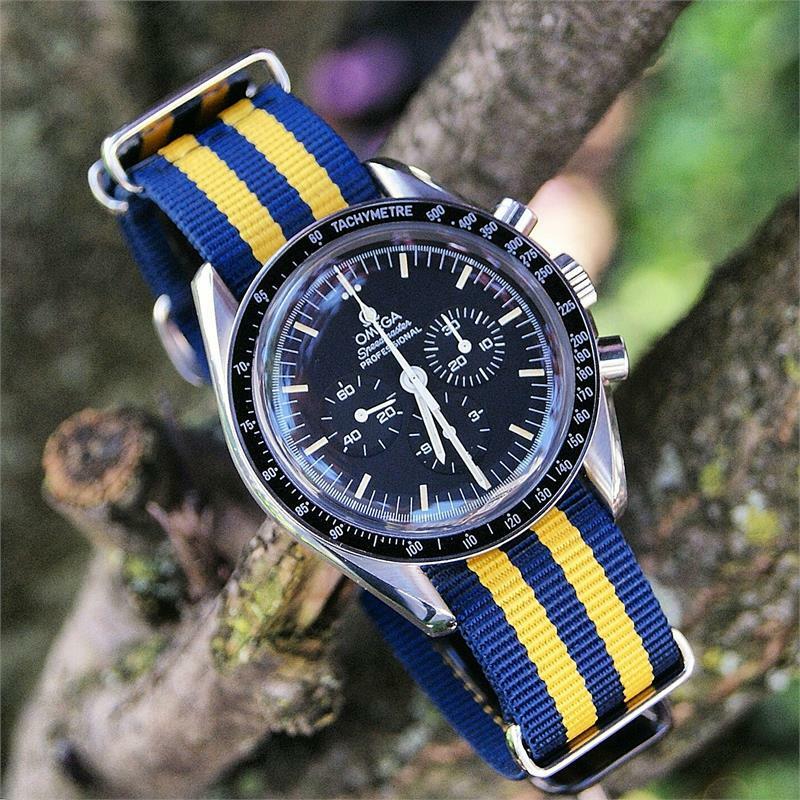 With its history dating back to 1973, the nylon mil-type strap was first introduced into the military for personnel of the British Ministry of Defense. This served as an excellent alternative due to its versatility & durability in all elements. Constructed from a premium nylon material with a tight weave, this strap will endure the harshest of conditions. 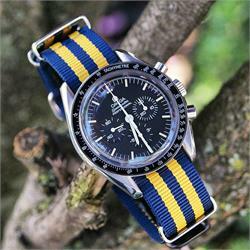 The straps edges & holes undergo a heat sealing process to prevent the strap from fraying. 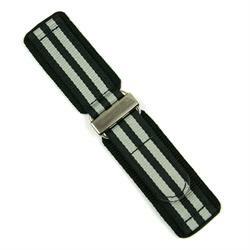 High grade stainless steel hardware are stitched into place giving added security to the strap. 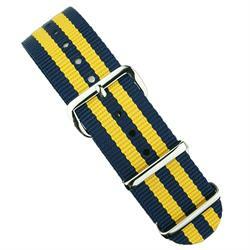 Lightweight and breathable, this strap is perfect for the pool, gym, and all outdoor activities.